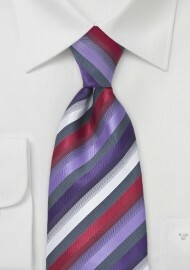 Add an element of colorful precision to your dress shirts and sportscoats with this multi-colored striped tie. The unique colorway of purples, greys, reds and whites add a dynamic twist to anything that is paired with. 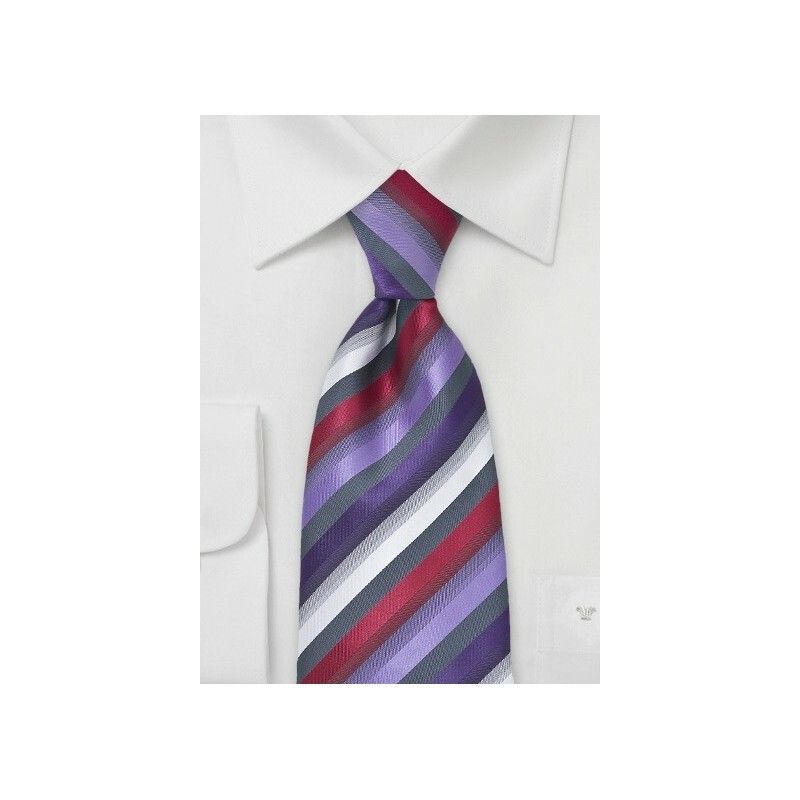 Make a groundbreaking fashion statement by teaming this well-structured tie with a light lilac point collar dress shirt and slim fitting grey suit with a purple handkerchief. Crafted from a man made microfiber that resists stains and wrinkles.